A reader sent us pictures of his Jas Hennessy & Co. 3 Stars Cognac bottle, 42° REGISTERED AT 304 STATIONERS’ HALL. The bottle seems to be 70 to 80 years old. The reader’s father brought it back with him after World War 2.
soleil, les qualités du sol, l’action lente des annees et nos soins attentifs en ont fait une eau-de vie inimitable que l’on peut apprécier à toute heure, avant, pendant ou après le repas. Il peut (?one word?) à votre gré: Une LIQUEURE: Chauffez votre verre dans la main, respirez le précieux arôme de la vigne, buvez à petites gorgées. Une BOISSON RAFRAICHISSANTE: Coupé d’eau gazeuse ou non, il deviendra un désaltérans au parfum délicieux. Un GROG RÉCONFORTANT: L’hiver dans de l’eau ou du lait chauds, il sera votre boisson préférée. valu à notre Cognac sa réputation universelle. If anyone should be interested in this bottle, or give us a value idea – please comment. 1960’s Jas Hennessy XO bottle in the kitchen, what’s the value? I once bought a similar bottle at auction. Final not agreement due to the costs of the seller in Italy, so I can not buy on to Vietnam. This bottle is certainly similar to those used of the period 1920 – 1935 but there is a concern regarding the 42% on the label. Cognacs sold in this period were not only sold in imperial measures but also measured in degrees proof, this measurement is different to alcohol by volume which we use today. My concern is the use of the alcohol by volume on the label and would want to know if the label has been changed or has the strength been added at a later date. Further information on this would be appreciated before the value can be decided. Cognacs of this period were indeed much older than modern cognacs where VSOP cognacs rarely exceed 6 years old as a minimum age of the blend. I HAVE JUST BEEN LEFT A HENNESSY GLASS BARREL SCHIEFFELIN AND CO/NEWYORK WOULD LIKE TO FIND OUT MORE ABOUT THIS ITEM CAN ANYONE HELP. Hi, I have an unopenned bottle of the 3 star Hennessy also. I was wondering if anyone here knows a value. Mine has no 42 degrees. It does have the PA liquor control board stamp on it and that is dated with 1952 & 1953. Is that dated stamp a good indication of the bottle age or just when it was shipped to the US? it just states ‘produce of france’ at the bottom of the front sticker. unopened but unsure of age. can someone help me on age, cheers stubz. I ALSO HAVE THIS SAME BOTTLE OF COGNAC. THIS BOTTLE IS A 3 STAR COGNAC. IT IS THE ANCESTOR TO THE VS OF TODAY. 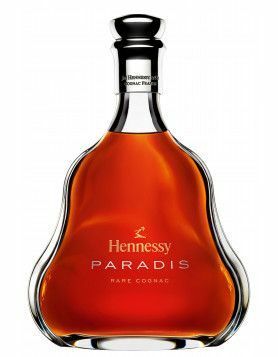 MAURICE HENNESSEY,THE FOUNDERS GREAT GRANDSON CAME UP WITH THE THREE STAR SYSTEM IN 1865 WHEN HENNESSEY FIRST STARTED OFFERING COGNAC IN BOTTLES.ONE STAR INDICATED A YOUNG BRANDY,TWO STAR SLIGHTLY OLDER BRANDY, AND THREE STAR THE OLDEST. AS YOU PROBABLY KNOW, COGNAC ONLY AGES IN OAK CASKS, NOT IN BOTTLES,AS DOES ALL SPIRITS.AS A RESULT ANY VALUE THE BOTTLE MAY HAVE CAN ONLY BE DETERMINED BY A RESPECTABLE AUCTION HOUSE . I just found a bottle of the same stuff that appears to be older and without the 42, unopened. looking to sell for a good offer. Hey Matthew, you can also Submit Your bottle yourself, if you want. I have a Hennessy&cognac France bottle unopened with a cobra snake inside can somebody tell me if is safe.gov drink or if is worth something?? I HAVE A BOTTLE OF JAS HENNESSY C-0 COGNAC. BOTTLE DOES NOT HAVE A LABEL ANY LONGER BUT DOES HAVE A RAISED CIRCLE ON THE NECK WITH A PLASTIC OR LEAD GOLD SYMBOL. THE SYMBOL IS ROUND, WITH A RAISED OUTLINE OF THE CIRCLE AND THE HENNESSY ” ARM HOLDING WHAT LOOKS LIKE A DOUBLE BLADE AX”. ON THE BOTTOM OF THE BOTTLE THE WORDS: LIQUOR BOTTLE FRANCE”. THE BOTTOM OF THE BOTTLE HAS A ENIQUE FINAL TOUCH TO IT. CALL ME FOR MORE DETAILS. THIS BOTTLE WAS BROUGHT TO THE US BY A SAILOR AFTER WORLD WAR II AND GIVEN TO ME AS A GIFT IN 1990. NOT SURE IF I WANT TO SELL BUT AM INSTRESTED IN KNOWING WHAT IT IS WORTH. I have a bottle of Martell Cognac it has a metal seal on the top which I have never come accross before. It is a three star Cognac which bears a 70 proof so I guess it’s fairly old, does anyone know this particular bottle, or it’s worth ? I found this bottle in my grandparents house it says 3 stars Hennessy on the label and embossed on the glass towards the bottom is Ja. Hennessy France. It is a light green bottle but is very large in size can anyone help me find out more about it and what it may be worth. It is opened. is that someone knows a price of this bottle? A relative recently passed away and has a full unopened 1/2 gallon bottle of old Hennessy. I only see single bottles and thought the 1/2 gallon would be very rare indeed. Any body out there know about this? It is the version with the 3 star label with the watermark. It is intact with full labels in perfect shape including US tax label. I do not know how to figure the year it is precisely from though. I have one of these bottles I would like to sell. To me it is worth $1200.00. That is the price I want for it weather anybody say’s it’s worth that or not. To me it’s worth that price, it is unopened and in good condition , also mine does not have that 42 degree symbol on it and the cellar master at Hennesse’y say’s it could have been bottled as early as 1865. I have one of these bottles (3 star 4/5 quart) and may possibly be interested in selling. It does not have the 42 degree symbol, but does state it is 84 proof on the bottom front label. Also never opened and has tax stamp intact. Is full and in great condition. Would like to know what the value might be. I’m living in Vietnam and I have a Hennessy cognac bottle, around 80 years old, unopened. I’ll sell it if you like. Please provide photos of the bottle showing level, capsule and label if you truly want to sell it. Saying that it is worth $1,200 to you means nothing to anyone else. What grade is it? 3-star, VO, VSOP or Extra. 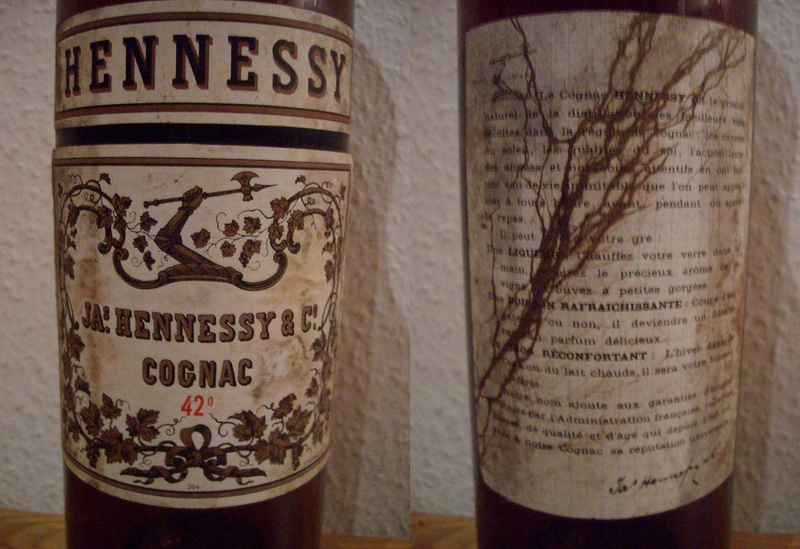 The bottles and labels are identical except for the neck band indicating the grade of cognac. If it looks like the bottle above it was certainly not bottled in 1863 or before 1920 for that matter. Hennessy was not using this type of label in the 19th century. Nicole: The 3-star Hennessy in the photo is worth $200-$225. The crimped capsule with the gold band was used in the late 1940s and 1950s. I have bought a dozen of these bottles in that price range and I will buy more if I can find them. I have a Hennessey bottle with the three stars and the 84 proof from that time. It’s huge and it was made into a lamp is it worth anything to anyone out the please call me. I’m in southern California is anyone interested? Anne: I am interested in your Hennessy ***. I have a relative living in Germany who could handle the purchase. I can offer $200 if good level and good condition. You can ask Sebastian to forward pictures to me if you want to sell. I have a unoppend 3 Stars Battle JA’s Hennesy Cognac an 42 Proof. It’s the Same Label like the Photo. I have more Photo. I’ m from Germany. Someone interssded? 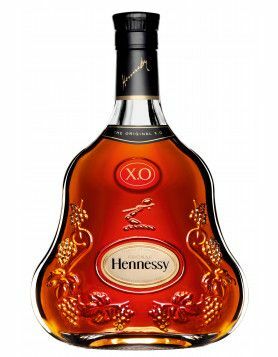 I am looking to purchase a 3 star bottle of hennessy. Serious buyer. Thank you. 8078230598. Text only please. 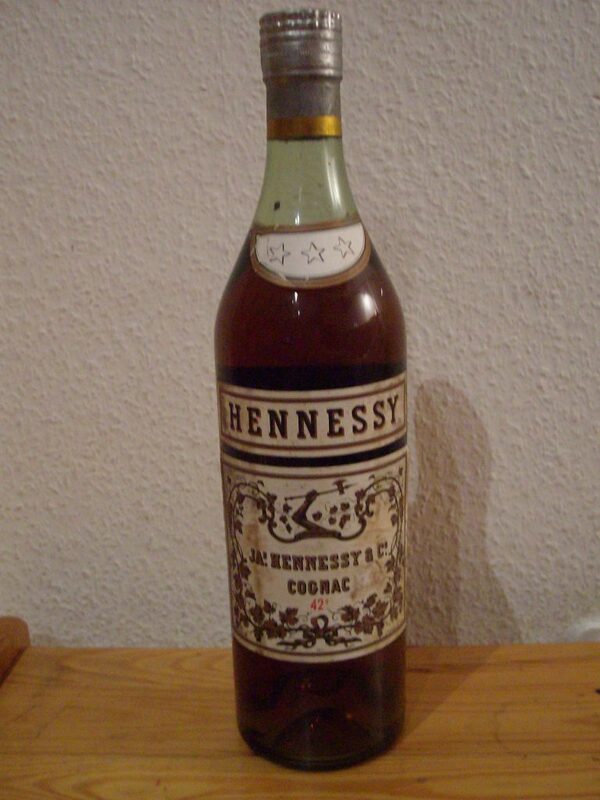 I have an old bottle of 3 star Hennesy cognac and wonder what it is worth. It it has never been opened, 2 of the labels are torn but complete. There are neither proof nor alcohol by volume measurements printed on the label. 1 label with 3 stars printed on it just above the shoulder. 1 with ‘HENNESSY’ printed on it and a 3rd larger label. With JAs. HENNESSY &Co.surrounded by a vine with leaves and an arm holding an axe. On the back is another label with the words ‘In order to guarantee the consistent quality of HENNESSEY we maintain the largest stock of COGNAC BRANDY in the world’ this is followed by Mr. Hennessey’s signature and has the arm holding the axe in the upper left corner. I have a bottle of 3 star with wire around the bottle hand written on the back label on graph paper. I am looking for info about this bottle in you have any please help. 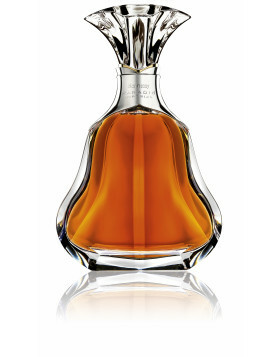 If you are interested in selling your bottle of Cognac you can have a look at our auction section. The process would include an estimation of your bottle´s value by our experts. For further questions, please have a look at our auction FAQ.